Drooling is one of those wonderful stages that all children trek through. However, sometimes our tiny friends drool too much or for too long. If your child is drooling excessively, it’s time to check in on this behavior. It is best to visit your ENT doctor first so that they examine closely all of the physical structures. In the meantime, here are my favorite tips & tricks for our drooly loves! If our mouth is closed, we are less likely to drool! I call this a “closed mouth posture”. This means that your child has closed lips and is breathing through his nose. Our noses are wonderfully designed for filtering (thank you, nose hairs), warming, moisturizing, and smelling the air we breathe. The nose is also equipped with mucus that captures and kills germs. Nose breathing ensures proper balance of oxygen and CO2 levels in our bodies (mouth breathing usually leads to hyperventilation). The little ones that breathe through their mouth often snore at night, get more colds, feel fatigued, and are at risk for crooked teeth. Research has also linked mouth breathing with behavioral difficulties, learning deficits, and speech errors. Once you consult with the ENT and ensure that there are no physical factors interfering with your child’s ability to use a closed mouth posture, it is simply a matter of building a better habit! Water safety: Keeping children safe all year round! Summer days and hot weather are the perfect invitation for relaxing at a pool, hanging at the beach, or swimming in the lake. These activities are loads of fun, but they’re also dangerous if precautions are not properly instilled. According to the CDC drowning is the leading cause of accidental or injury related death in children between 1 and 3 years old. Drowning is silent and quick. Children don’t trash around, they usually sink down to the bottom, and lose consciousness after 2 minutes. Adequate water safety can save your child’s life. Continue reading this article to find out the safety guidelines to follow. Babies and infants are much more sensitive to what we put on their skin than adults. Here’s how we can make the cutest and safest options accessible to all. For new and expecting parents, few things look as adorable as a cute baby outfit. It beautifully wraps the little one like a warm lasting hug. But one thing that still gets little attention is the quality of the clothes we put on our babies’ sensitive skin. The baby clothes we usually find in retail stores or online have often been treated with chemicals that may be harmful (even when you read 100% cotton). These include pesticides used to grow cotton as well as chemicals used to create a color, a print, or certain features like making the clothes stain or odor-resistant. Relative to their body size, infants absorb much more of their environment than adults. They are also less able than adults to naturally break down or eliminate chemicals absorbed into the body. A large part of what infants absorb happens through the skin, which is thinner and more permeable for babies than adults. As a result, substances that come in contact with baby skin are more easily absorbed and penetrate into deeper skin layers. I love sharing my favorite feeding facts! There are so many old wives’ tales about food that are outdated or untrue. The more you know as a parent, the better prepared you will be to help your little one succeed! Some of the facts that I am going to share are part of the SOS Approach to Feeding, developed by Dr. Kay Toomey, PhD. 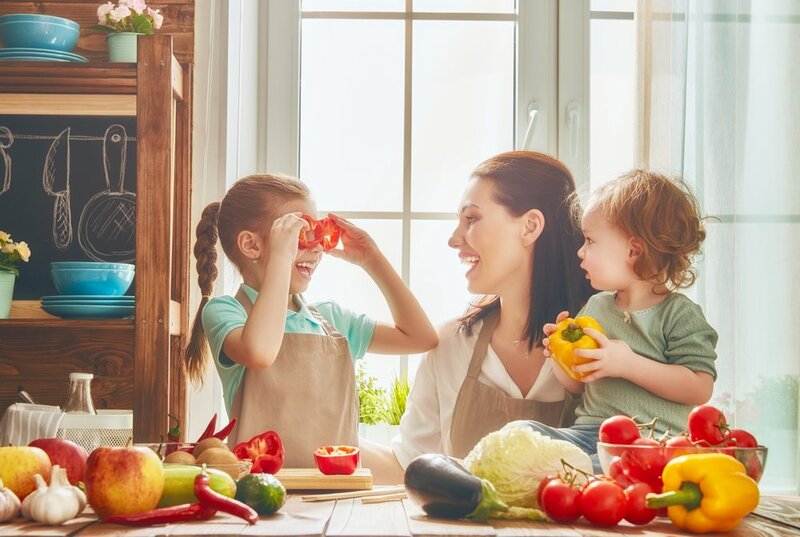 It is important to note that if you believe that your child is having difficulties during mealtime, you should reach out to your pediatrician for suggestions or referrals. FACT: Kids Need To Play With Their Food! Kids learn best through play! Play is a multisensory and enjoyable experience that will lead to greater acceptance of new foods. 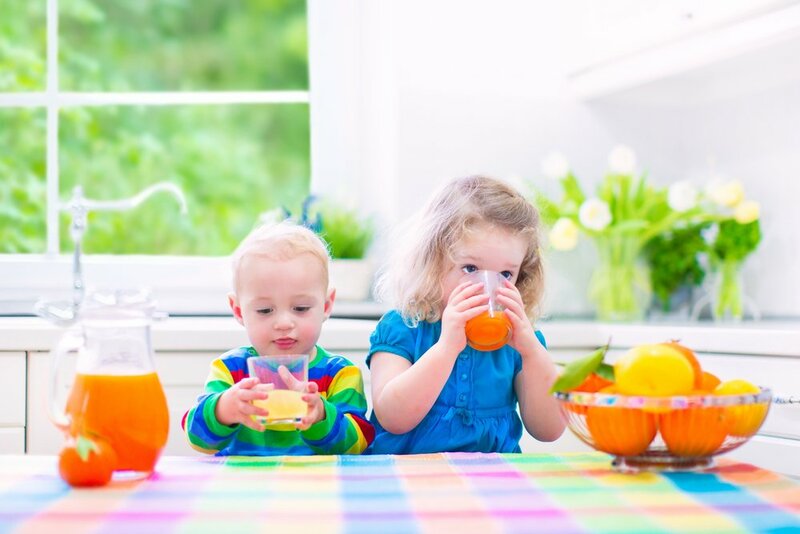 It is important for children to feel, see, hear, and smell foods before tasting them. When we introduce food through play, our tiny friends feel safe, confident, and excited! You should continue to expose your child to food during play, even if they are not ready to taste it yet. I love cooking together and pretend play. About to expect a baby or just had a newborn? Chances are you’ll soon start looking for a prenatal or postnatal vitamin pack to get the nutrients the both of you need for good health. 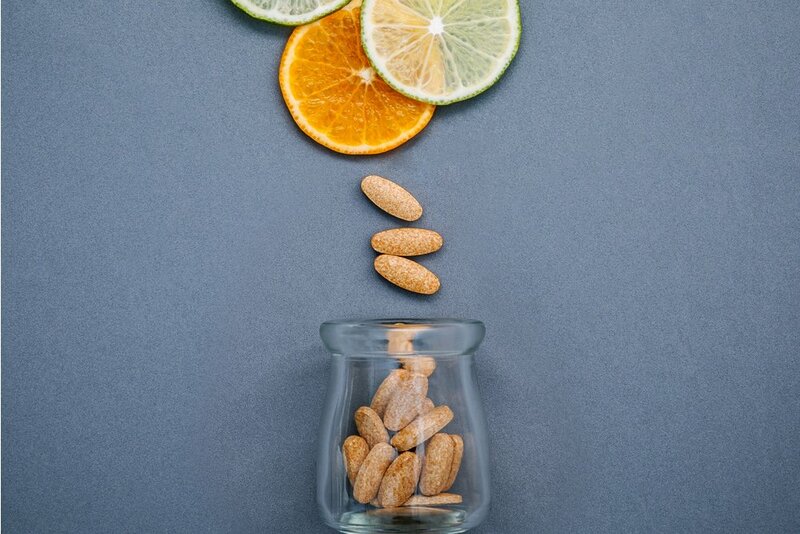 A healthy diet is the best way to get the vitamins and minerals your body needs, however even if you are eating healthy, you may fall short on some key nutrients -which is where supplements come in. During breastfeeding, your body needs more of all the nutrients that a well-balanced diet can offer. Taking prenatal vitamins even after pregnancy is a recommended option. They work well as postnatal vitamins, since your breast milk will continue to provide important nutrients for your baby. Make sure your supplements include essential nutrients such as folic acid, iron, Vitamin D, fish oil, and calcium. 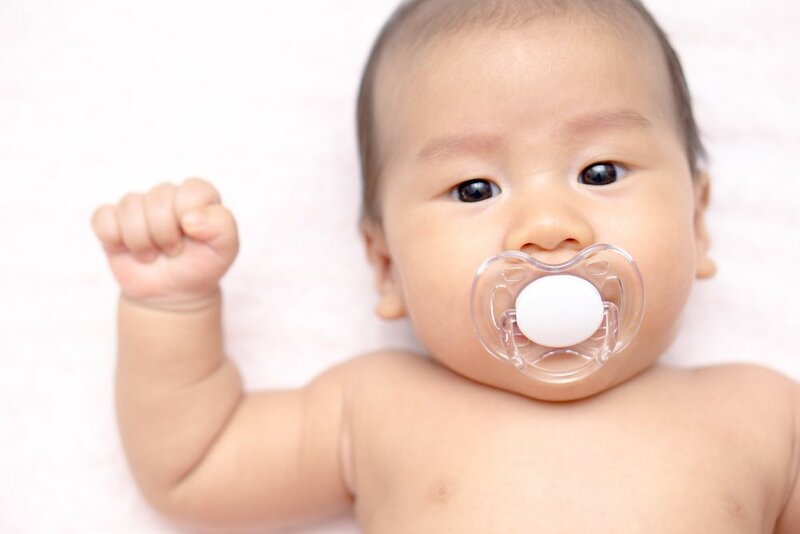 Are pacifiers good or bad for babies? Babies take everything to their mouths; from the smallest object they find to their own thumb. It is a stage where, through this activity, they discover the world. This primary reflex, which they use to adapt to their surroundings, is known as sucking. It is a way for them to calm down. Sucking is done in diverse situations: when they are sleepy, hungry, bored, or nervous. So, is it good or bad to give your baby a pacifier? The use of the pacifier has several advantages and disadvantages, which we are going to discuss next. Keep them in mind when deciding whether or not to use it. The use of the pacifier may decrease SIDS probability (sudden and unexpected death of an apparently healthy baby) when used during sleep. It may relax your baby, reduce anxiety, and help him calm down. Reduces thumb suction time, which causes severe dental problems. Its use can make any complicated situation such as air travel, blood tests, vaccines, or medical procedures much easier to bare. Give your baby some peace, here are 7 benefits of massaging your baby! Relieves pain caused by cramps, gas, constipation, and teething. Lets your baby relax and reduces stress. Interaction boosts verbal and non-verbal communication skills. Stimulates and develops your baby’s nervous and immune system. Increases your baby’s self-esteem and helps him feel safe and loved. Your baby will fall asleep faster and sleep more deeply. Through touch, smiles, and hugs, your bond will strengthen. Everyone is familiar with hiccups. We have all experienced them from time to time. However, most first-time parents tend to worry when their newborns get hiccups. And they shouldn’t -hiccups are quite common in babies under one year old. As a matter of fact, most parents may not know this, but their little one has probably been having hiccups since he was in the womb! Most likely starting around the 6th month of the pregnancy, when their little lungs were developing. What causes hiccups in newborns? Hiccups are usually caused by a full stomach, taking in too much air while feeding, or a sudden change in temperature. It’s important to note that they don’t typically bother the baby. What should you do if your newborn gets the hiccups? First, don’t worry and try to relax. It’s not dangerous to your baby. 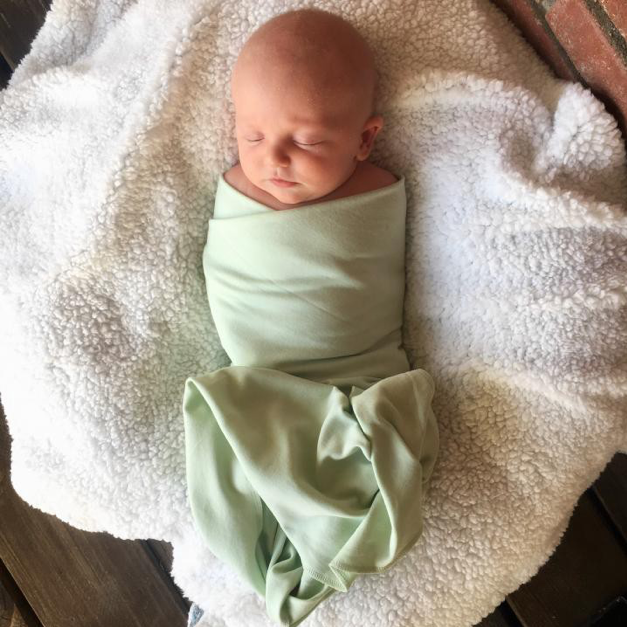 You could try burping him, but chances are you’ll just have to wait it out. How to help my little one take medicines that taste bad? We’ve all taken medications that make us grimace! Even as adults we don’t like to take them, so imagine children! Despite their terrible flavor we cannot avoid them. Sometimes they are necessary for our health. Here we will talk about our favorite tips to help you make this moment a little less stressful. Begin by telling your child you love him very much and that you’re giving him this medication to make him feel better. Explain in simple terms why medicines are important and how they destroy viruses that make us sick and feel bad. Admit that they don’t taste very good and that you understand him. Give your child a popsicle to numb his mouth and provide a good taste in his mouth. He can taste the popsicle, take the medicine and keep enjoying the popsicle afterwards. Store the medication in the fridge to administer the medicine cold; it helps to reduce some of its bad taste. You can channel your inner Mary Poppins and give him a spoonful of sugar after the medication or with the medication. Sit with your little one, caress him, and give him the medicine slowly. If your child needs to chew a pill you can crush it and give it to him on a spoon with ice cream, chocolate syrup, honey, maple syrup, or any other food that doesn’t require chewing. It’s recommended to give him a few tablespoons of the food on its own first. Tell your little one to pass it without chewing, so he will have sufficient practice for when you give him the spoonful with medicine. Give him a sweet after the medicine to reduce the aftertaste. Prepare a glass of milk, chocolate milk, juice, or any drink he likes; he can take it right after the medicine. You can choose to give the medicine slowly in a syringe instead of a spoon. This way you can see which way he prefers to take it. If you put the syringe to the bottom of his cheek, he may swallow the medicine easily. Try to avoid ejecting the medicine at the back of his throat to prevent nausea or suffocation. Remember that sometimes it’s difficult to take medication. Sometimes, despite all attempts, young children won’t take it. If this is the case, don’t forget to show empathy. Tell your child that you understand him and apologize for the bad taste. Don’t try to trick him or become frustrated; instead use love and praise his courage. Explain the reason why he has to take the medicine, and acknowledge his efforts. 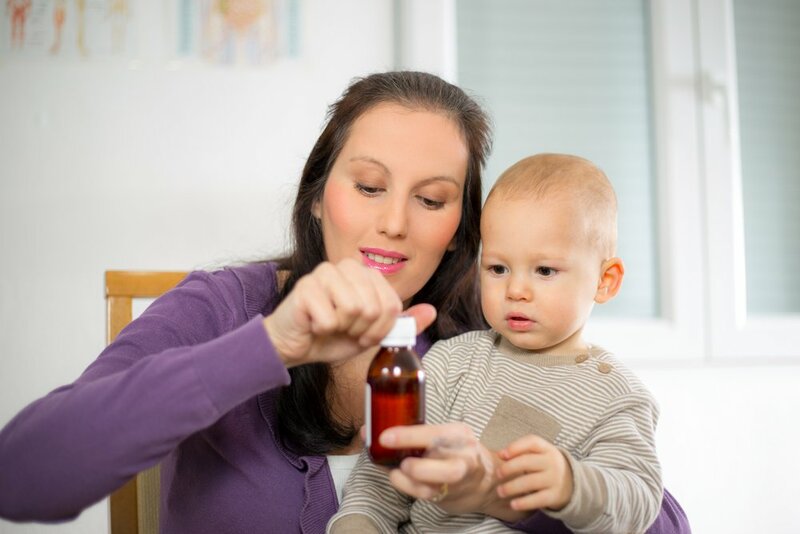 If your child still resists, you’ll have to give the medication by opening his mouth and inserting medicine gently, pointing the liquid to the cheek and not directly to his throat to avoid choking. Don’t forget that you can stir it with something sweet or a stronger taste to disguise it. Finally, do not forget to contact your doctor if you need further help, he or she can help you identify what is best for your child.